Hi, I’m Pat – a singer and guitarist from Bristol, specialising in live music for weddings and civil ceremonies. 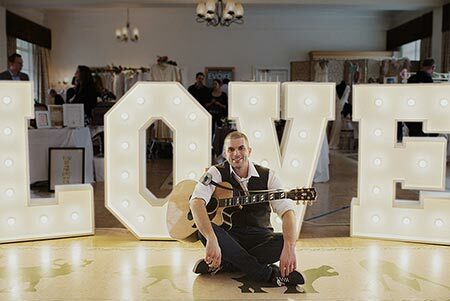 Perfect for the ceremony, drinks reception, evening event and everything in-between, my modern acoustic guitar and vocal style creates the perfect atmosphere for your big day. From beautiful bespoke acoustic music as you walk down the aisle, right through to upbeat singalong anthems in the evening, I pride myself on putting my heart and soul into every performance, and this is reflected in the 100% positive feedback I’ve received! I’m based in Bristol, but cover a wide area including Bath, Gloucestershire, Oxfordshire, Somerset, Wiltshire, The Cotswolds and surrounding areas. I also cover South Wales and South-West England including Devon, Cornwall and Dorset. You can read more about coverage here.